Students are an integral part of life in Bethlehem PA. When you stay at our Bethlehem PA bed and breakfast, you’ll notice several colleges and universities in the area. These schools have picturesque campuses that are part of what makes the town so charming. Mixing historic architecture and modern facilities, these colleges near Bethlehem PA give the area a special appeal. 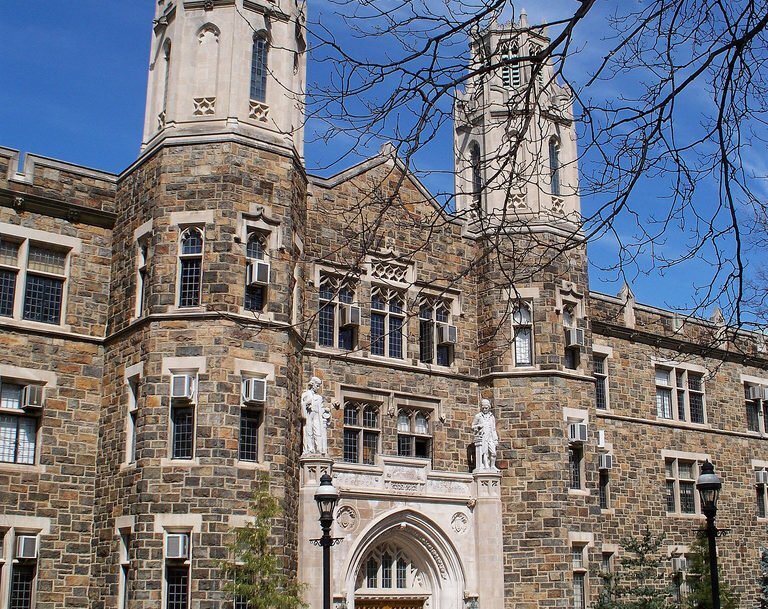 When you stay at Sayre Mansion, you’re just a short walk away from some of the best colleges near Bethlehem PA.
One of the prestigious colleges near Bethlehem PA, Lehigh University is a private research university that was established in 1865. 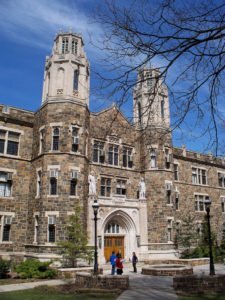 With a student population of around 7,000 undergrad and graduate students, Lehigh is often referred to as one of the “Hidden Ivies” in the Northeast. Notable alumni have gone on to win the Nobel Prize, the Pulitzer Prize,and the Fulbright Fellowship. Lehigh University’s main campus is the Asa Packer Campus on South Mountain. The Lehigh Mountain Hawks compete in NCAA Division I athletics in the Patriot League. Athletes have gone on to have professional athletic careers in the NFL, MLB and NBA. Lehigh basketball games are always a fun sporting event to take in and the most dominant athletic program is the wrestling team. The Mountain Hawks also have a long standing rivalry with nearby Lafayette College. To find out more about the Mountain Hawks, including game schedules, click here. Founded in 1742 as Bethlehem Female Seminary, the first boarding school for young women in the US, Moravian College is now a private liberal arts college. The college is associated with the Moravian Theological Seminary. The school is a smaller school with about 1,600 full time undergrad liberal arts students and 100 full time graduate divinity students. Moravian College has many programs that celebrate its Moravian heritage, such as musical and artistic programs which are often open to the Bethlehem community. With many of the buildings in downtown or historic Bethlehem, the school is spread across four campuses: North Campus, South Campus, Steel Field Complex and Priscilla Payne Hurd Academic Complex. For information on news and events at Moravian college, click here. The long-time rivals of the Lehigh Mountain Hawks, Lafayette is located in nearby Easton. The campus sits on 340 total acres and has 69 buildings. Lafayette College is known for its spirit of exploration and offers Bachelor of Arts degrees in 37 fields, Bachelor of Science in 10 fields and four field of engineering. Each fall, the Lafayette Leopards take on the Lehigh Mountain Hawks in a great regional rivalry football game. Muhlenberg College is one of the colleges near Bethlehem PA, located in Allentown. This private liberal arts college offers 40 majors in the humanities, fine arts, social and natural sciences. This highly selective school’s mission is to help its students on the path to becoming independent critical thinkers. DeSales University is a mid-size private Catholic university located in Center Valley. 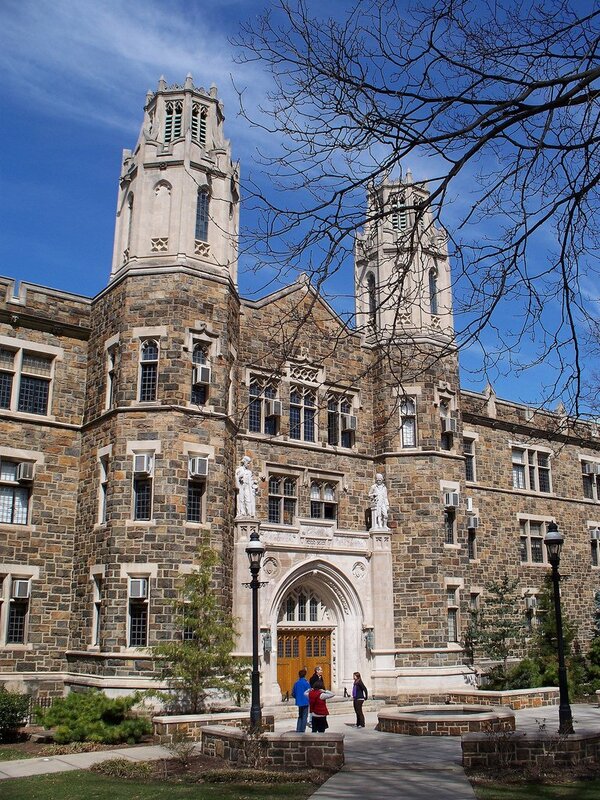 Prior to 2001, the college was known as Allentown College of St. Francis de Sales. The school maintains its Salesian mission administered by the Oblate of St. Francis de Sales, a group of Roman Catholic priests who follow St. Francis de Sales teachings. When exploring the colleges near Bethlehem PA, there’s no better place to stay than Sayre Mansion. Our Bethlehem PA bed and breakfast has a selection of beautiful rooms and suites, each featuring a unique design that blends old world charm with modern convenience. Your stay comes with a delicious full breakfast and personalized attention from the Sayre Mansion staff. Staying at Sayre Mansion will make your trip memorable whether traveling for business or pleasure! Things to Do In Bethlehem PA During Your Stay — Common Question: What Are Bed and Breakfast Rates ?